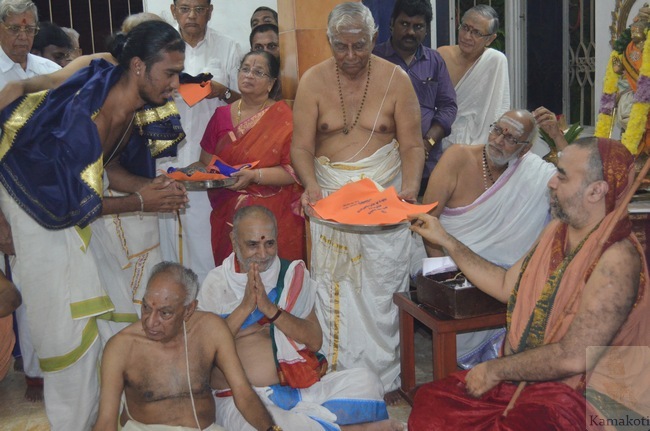 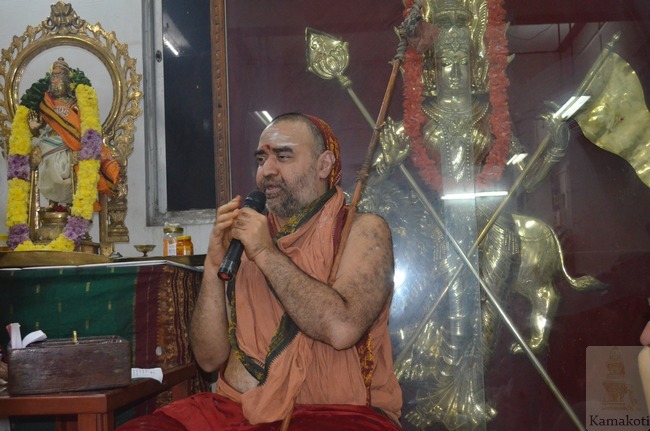 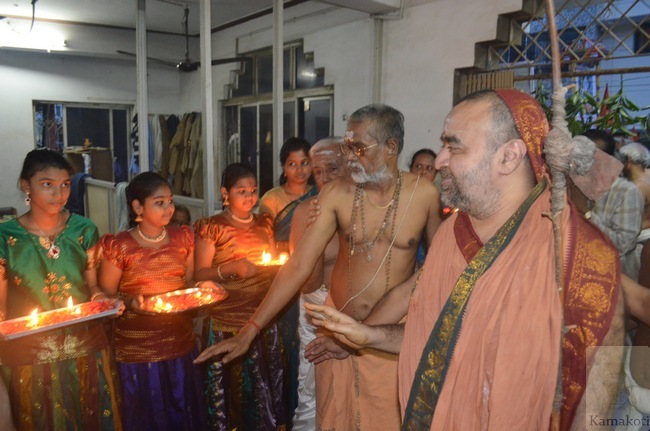 His Holiness Pujya Shri Shankara Vijayendra Saraswathi Shankaracharya Swamigal blessed the purti of Yajur Veda Parayanam held in Chennai. 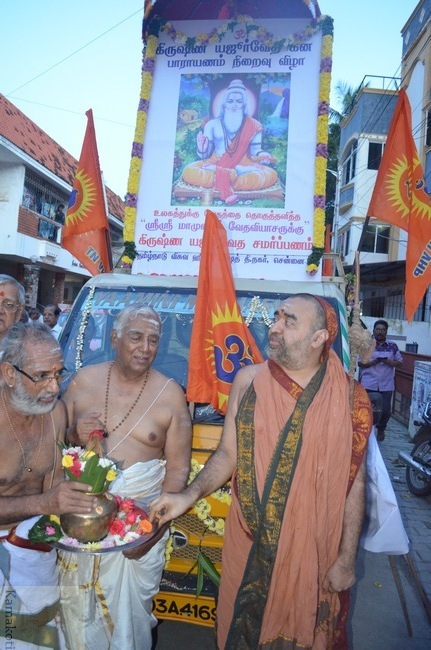 His Holiness was received by Sri Vedantam with Poornakumbham accompanied by Mangala Vadyam. 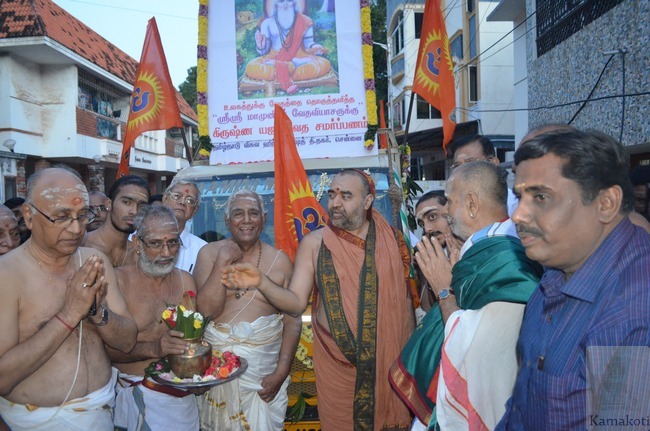 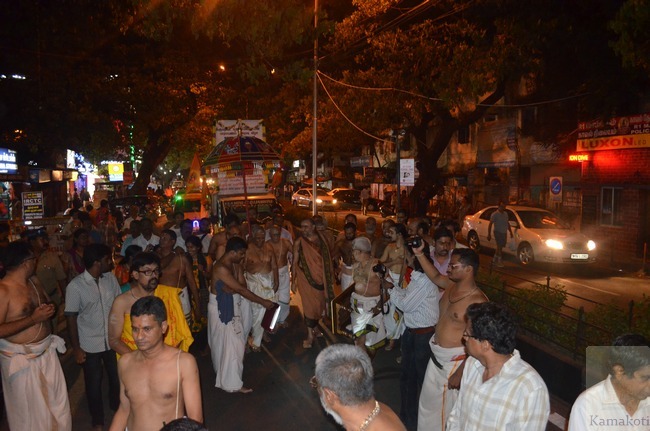 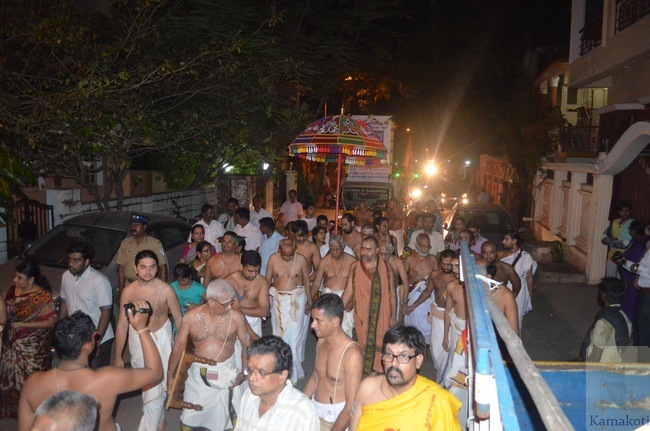 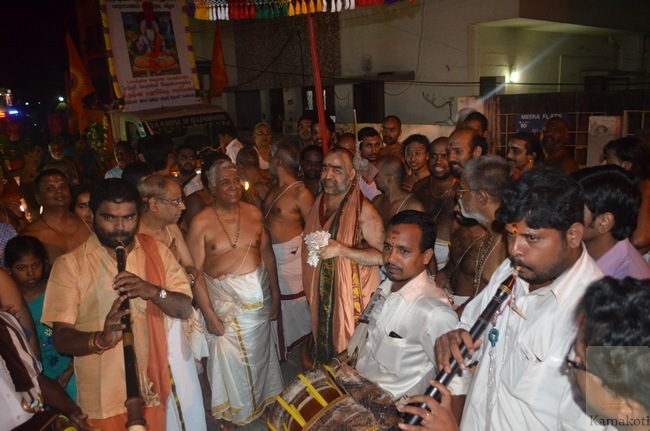 Yajur Veda Murti was taken on procession through various streets in T.Nagar. 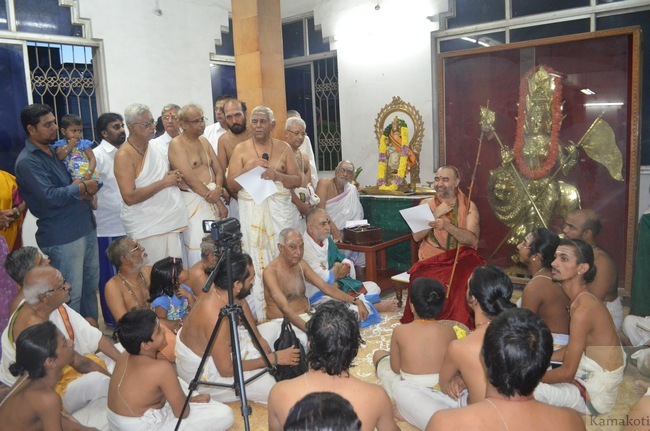 His Holiness blessed the participants with Anugraha Bhashanam.